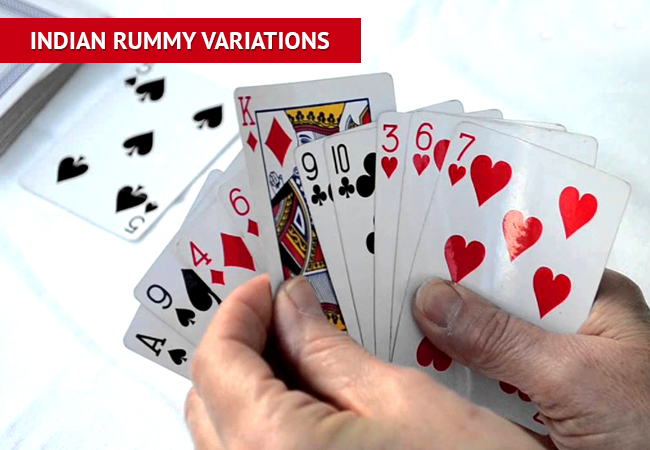 Do you know that you can play Indian Rummy Game in four different ways? That’s correct! Indian Rummy is so unique that there are four different variations of the game. The variations of Indian rummy game are Deals Rummy, Points Rummy, Pool Rummy and Rummy Tournaments. Points Rummy is the most popular of all the Indian Rummy variants. Played for just one deal, it is known as the fastest variant of Indian rummy. Players play it for a pre-decided point value and a single winner at the end of each deal wins the games. Due to its fast gameplay and competitive format, it is most commonly played card game in the entire Indian sub-continent. Pool rummy is a challenging variant of Indian Rummy where players need to survive from getting eliminated. Players need to play a fixed entry fee to compete with each other. The game is played until all the players get eliminated; a player gets eliminated once his score crosses 101 or 201 points. The player who survives till the end wins the prize pool. Deals rummy is played for a fixed number of deals. The winner of each deal wins chips from the losing players. Players need to pay entry fees, which forms the prize pool. The player who wins maximum chips at the end of all deals is declared as the winner, who wins the prize pool. Rummy Tournament is the most interesting and challenging variant of Indian Rummy. Players need to pay an entry fee or even can join these rummy tournaments for free or by redeeming their reward points. Chips are allotted to each player at the beginning of the game. Played for a fixed number of deals, the winner gets chips from the losing players at the end of each deal. When all the deals get over, ranks are assigned to each player and the player with the highest rank progresses to the next level of rounds. The progression goes on until all the top players reach the final round. The winner at the final round wins the prize pool. If you are new to the game of rummy, these variations of the game are sure to excite you and motivate you to play for more hours. You can learn these variations of Indian rummy by visiting any top online rummy websites or just by visiting our article “How to Play 13 Cards Rummy?“. If you have any queries on how to play or want to learn the strategies, post it in the comment section below.